Roger Huddle reviews an exhibition dedicated to the revolutionary work of the great Russian photographic artist Alexander Rodchenko, who lived between 1891 and 1956. 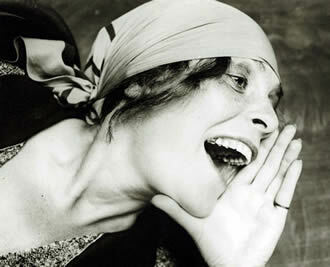 Even today, almost one hundred years on, living in a society overflowing with images, Alexander Rodchenko’s photographs are still fresh, still have a sense of wonder and relevance. This comes from what they record — an epoch of revolution and defeat, of hope and despair. Rodchenko entered art school in 1910 and for the next four years, as with many artists in Russia, he became part of the modernism that was developing across Europe. By 1913 he called himself a Cubo-Futurist. By the time of the revolutions of 1917 Rodchenko and his artist wife Stepanova, were part of a vocal and determined avant garde that stood in opposition to the academy and official art of the Tsarist autocracy. Never before, or possibly since, have we seen such a confident art produced by such confident artists. 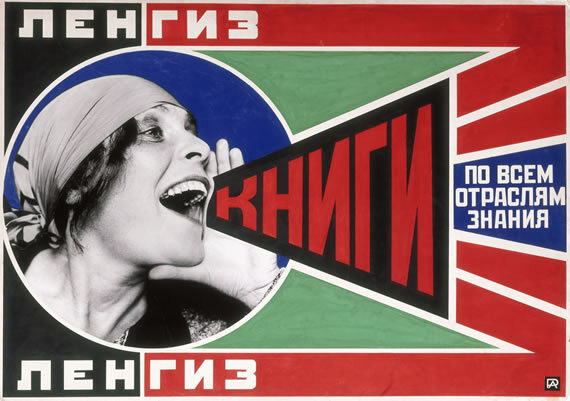 From the revolution Rodchenko took the painting and ideas of constructivism into design, theatre, typography and above all photography. Rodchenko’s early photographic work was creating montages, mainly for Mayakovsky’s long love poem About That. You can see these here in the exhibition, the careful narrative of images and the humour of juxtaposition. He took photographs with the eyes of a painter, he constructed inside the frame images that, for him, opened a new window on reality. Influenced by the fluidity of film, he experimented with changing perspectives: from the ground, from the tallest tower and building, from right angle and close-up. His photographs captured a moment of production, the gears shifting, oiled machinery, or a quiet moment in a worker’s day, looking down on a set breakfast table, or running for the bus. Rodchenko took his camera out into the streets to record the optimism of a new society, to show that future liberation was possible though industry. There is a group of photographs taken in a factory producing electric light bulbs and it recalls Lenin’s slogan that socialism was electricity plus Soviet power. 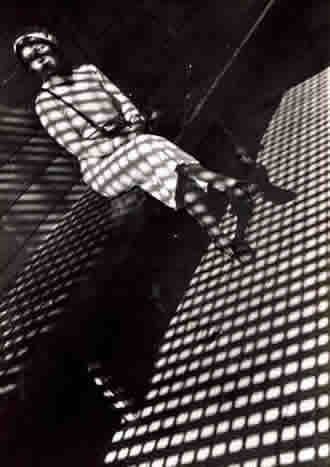 Rodchenko pioneered photo-journalism, creating the picture story that we take for granted today. He understood the power of the documentary. There are many of his portraits on show, including the wonderful series of Mayakovsky. His photographs of individuals are stunning and his use of light and shadow to draw out the character of his subject is a lesson in the use of tone and movement. As the revolution gave way during the late 1920s to bureaucratic control and then the dictatorship of counter-revolution, Rodchenko along with all the avant garde, were attacked. Their experiments were slandered as part of the old world. As workers’ control was dismantled and life again came under the fist of oppression, artists were driven out of public life. The openness of discussion and disagreement that was integral to the revolution in its first days was silenced. The left artists came together around a magazine called Lef (Left Front of the Arts) and then New Lef towards the end of the 1920s when the attacks increased. The design of this publication, all of which are on show, remain the finest examples of graphic design, and creating the style that became immensely influential for the next century. In 1933 it became illegal to take photographs on the streets of Russian cities without a permit. Rodchenko instead took photographs of sporting events where you see the regimentation and the seeds of Stalinist conformity and the horrendous creation of Socialist Realism. Even here Rodchenko continues to experiment. Slowly he is forced into taking pictures only from the balcony of his apartment. Again through his eyes we can see the changing city, the streets, buildings and open space. 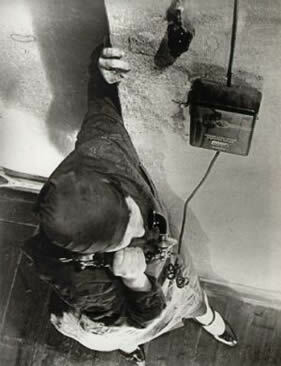 The arc of the revolution is, in one way, recorded within the photographs of Rodchenko. But the photographs alone do not tell the full story of his talent and genius. By the 1940s and 50s he was given very little work. Artists could only practice with commission and the state easily passed him by. 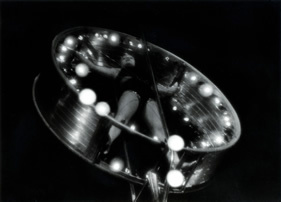 In the last years of his life he was allowed to photograph the circus. The final picture in the exhibition is a group of lions in a cage. Rodchenko had help create a language of imagery, he understood the power of the photograph and I can’t help feeling that this final photograph is the dreams of the revolution caged along with its artists. When I asked the curator Olga Sviblova, from the Moscow House of Photography Museum, if the refusal of work commissions was because of Rodchenko’s direct link back to October she answered: “Undoubtedly”. Rodchenko died in Moscow in December 1956, three years after Stalin and at a point, after the Hungarian Revolution of that year, when there was to be a resurgence of a socialist left, and a new generation of revolutionaries were to come under the influence of his work.